7.5x9.5 black and white Packard Co. file photograph of a 1916 Packard three-quarter front view, wire wheels, building in background, man behind wheel, five other men standing around car. 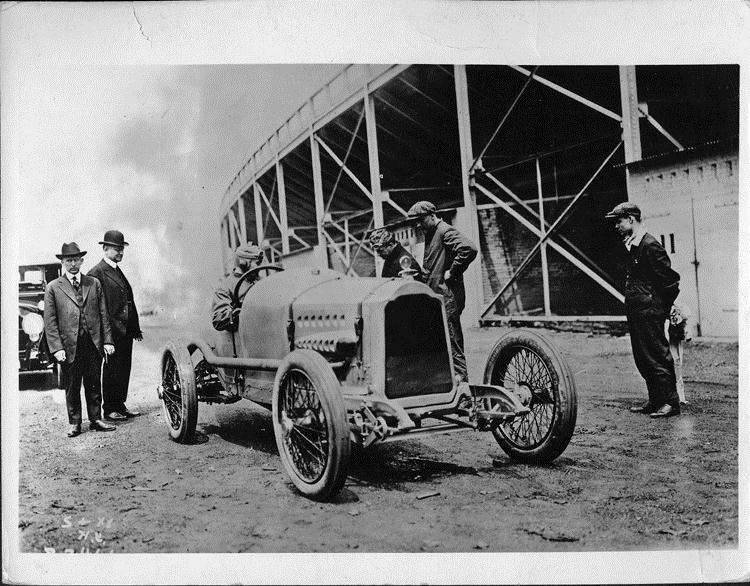 Inscribed on photo back; Packard '299' racer, time trials- endurance runs, Sheepshead Bay, N.Y. 1916/17, J.G. Vincent behind wheel, 12-cylinder, 60 degree-V, airplane prototype engine, second type racer body.